The timing couldn’t be better with this post as it’s currently snowing here in Boulder. While we haven’t had that doozy of a snowstorm yet this season, you know one is looming on the horizon. 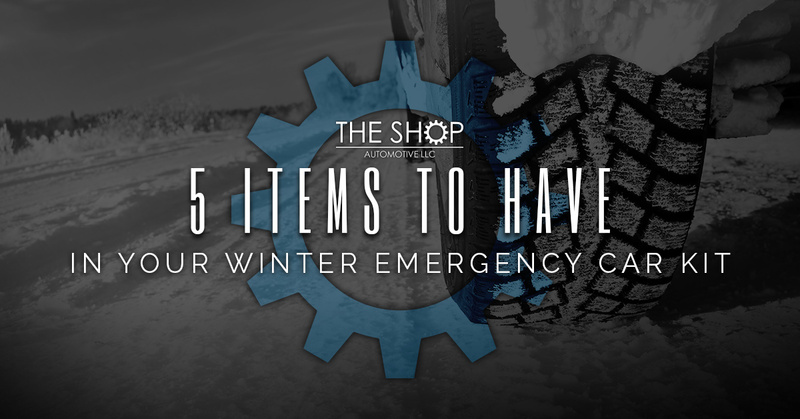 Maybe you recently read “5 Winter Auto Maintenance Tips” and it reminded you to take your vehicle in for a tuneup. For most of us, our phone is our lifeline. But it does you no good to have a phone without a charge when you’re stuck in a blizzard. Our advice? Invest in a hand-crank charger that works away from the car and when the car battery is dead. Many stranded drivers make the mistake of leaving their vehicle on while waiting for assistance. Especially in a snowstorm, every little bit of remaining fuel you have should be treated as precious. So as opposed to relying on your vehicle for heat, have a wool blanket and hand warmers in your kit to stay warm. This is obviously a big one, yet a lot of drivers fail to remember it for their kit. Do yourself a favor and have a few bottles of water and energy bars handy as a precaution. Who knows? You might need a little food and water to tide you over for several hours. No, we’re not recommending you try jamming a standard-size shovel into your vehicle. That said, a compact folding shovel should be sufficient for digging your car out of the snow. If you don’t have any luck with a shovel, then chances are you’ll need some assistance from someone else. Few things are scarier while driving than being without windshield de-icer during a snowstorm. So grab an extra bottle of the stuff the next time you’re at the store. Pro tip: Try using windshield de-icer the next time you have a frozen car part. 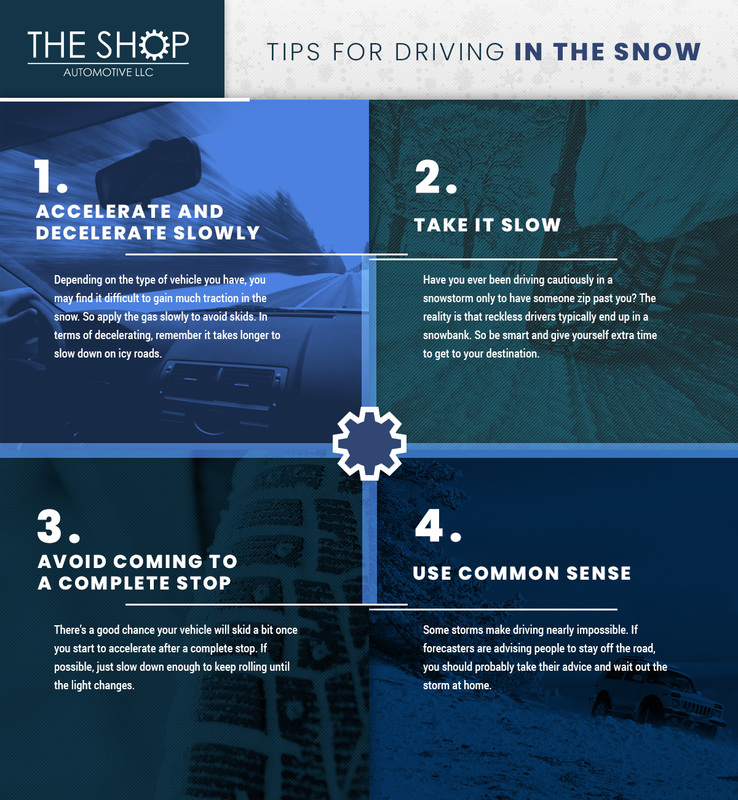 Here at The Shop Automotive, we understand the challenges that come with driving in winter conditions. While it certainly helps to have an emergency kit in your vehicle, it’s more important to properly maintain your car or truck. This is where the mechanics at The Shop come into play. For those who aren’t familiar with us, The Shop is not your average car care center. We pride ourselves on providing top-notch service at an affordable price. Not only that, but our staff makes it a point to effectively communicate with each and every customer. Never will we try to sell you on a part or service that you don’t actually need. Keep your vehicle running at optimum performance this winter. Contact Boulder’s auto repair experts.